I felt some of the layouts I posted using the Prima Epiphany collection could do with a little bit a spicing up with mixed media. 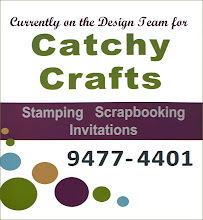 Here are the retakes of the remixes. 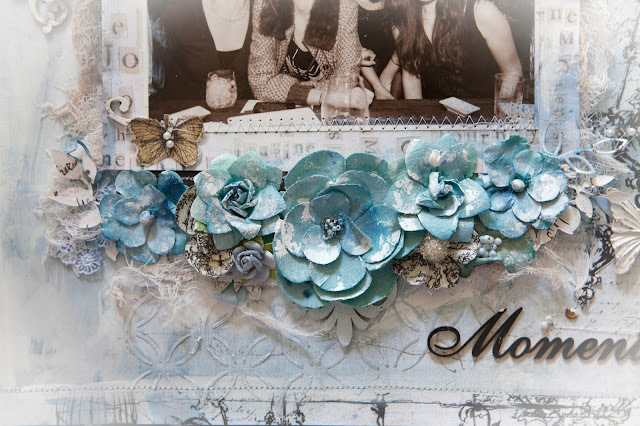 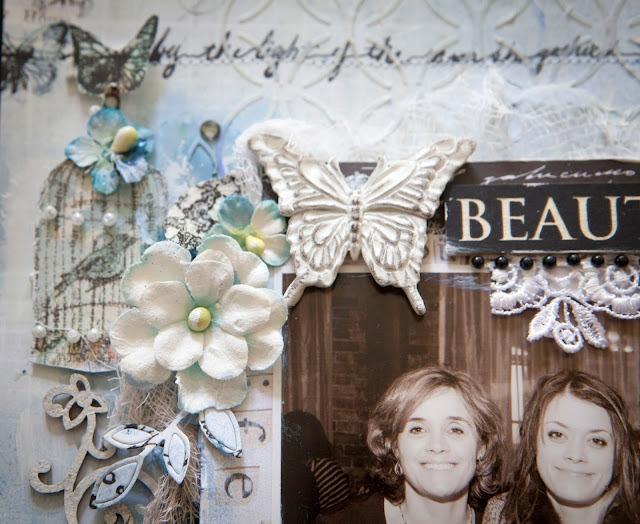 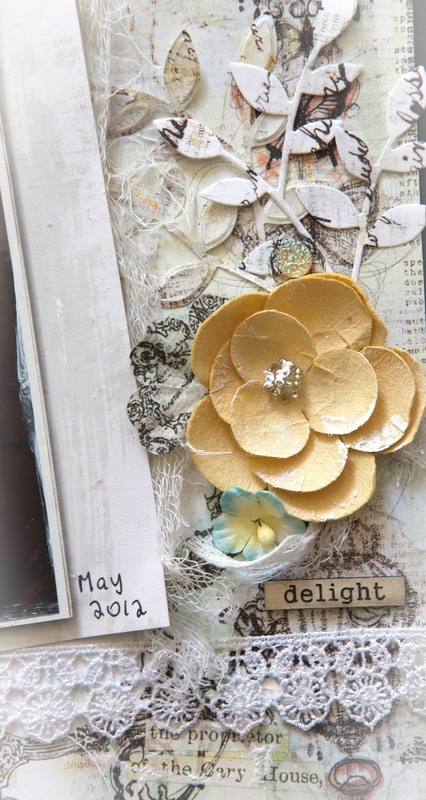 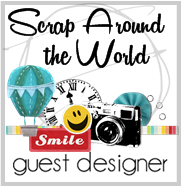 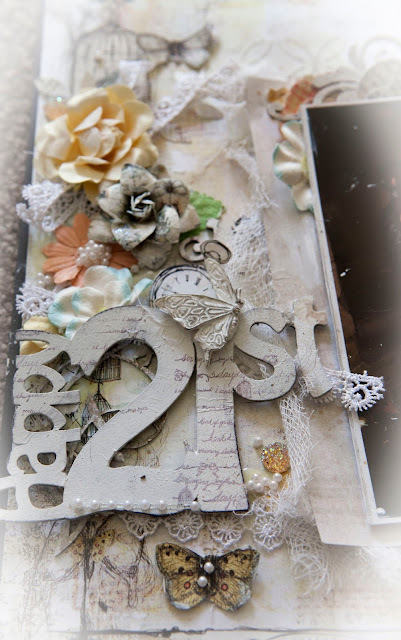 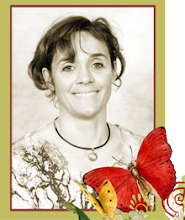 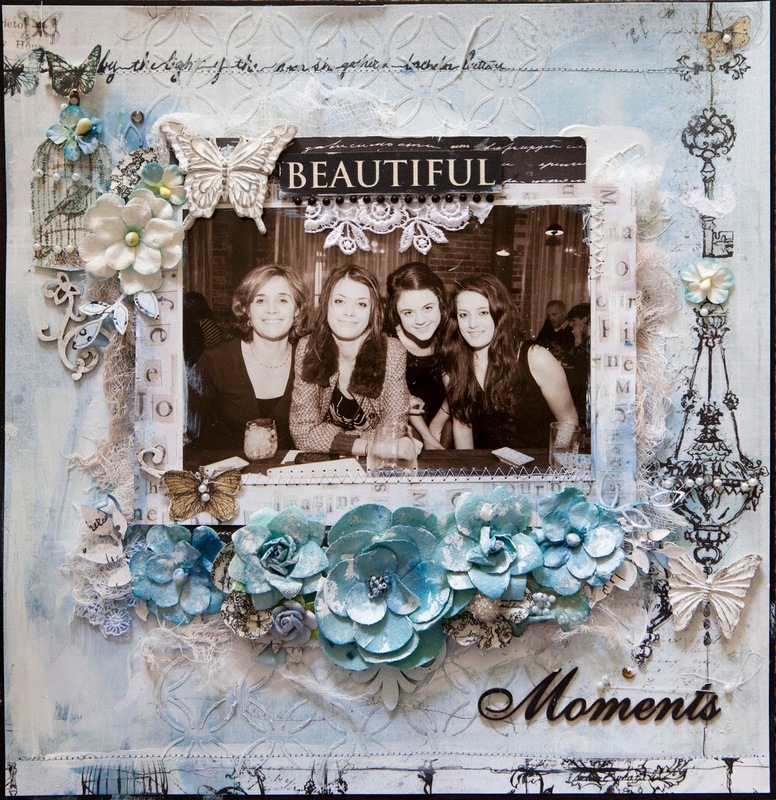 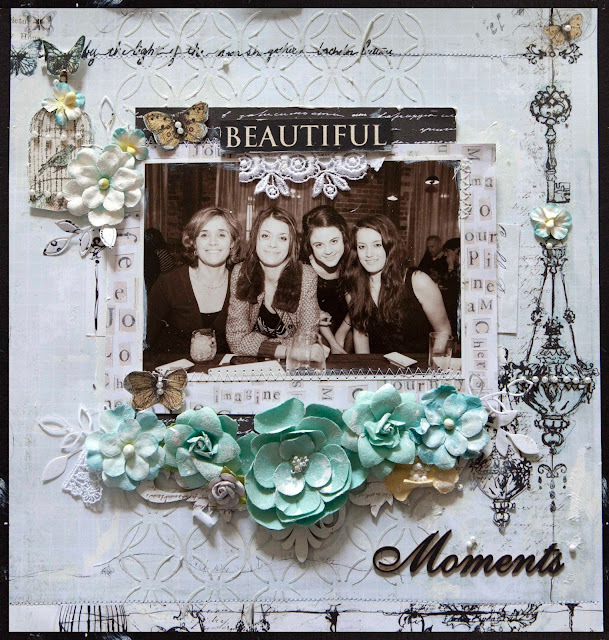 This layout is a nice blend of mixed media with a touch of shabby chic and whimsy.